Taking a break from making action adventure games featuring stunning characters with large, waatery eyes, Heavenly Sword developer Ninja Theory's been helping polish combat systems for the Marvel-powered Disney Infinity 2.0. Revealed during the Giant Bomb panel at PAX Prime (via GameSpot) and confirmed on Twitter by Disney Infinity executive producer John Vignocchi, Ninja Theory has been working alongside developers at Disney and Avalanche since February of this year. The developer's primary focus was said to be the combat systems for Marvel villains like Loki, Green Goblin, and Ronan. Last year's Disney Infinity, with its three included game worlds, ultimately wound up feeling a bit quantity over quality, with tons of content but not a lot of polish. The addition of the makers of Heavenly Sword, Enslaved and DMC could indicate a stronger focus on satisfying gameplay this second time around. 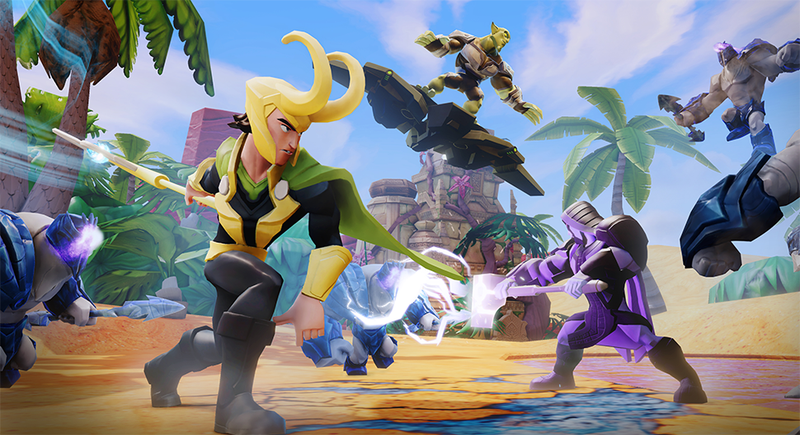 We'll find out soon — Disney Infinity 2.0 arrives in stores September 23.